I’m feeling blue, but in a good way. Denim is my boyfriend and we’re in love. After seeing a lot of fall collections the past few weeks, I’m excited to see the “denim on denim” look. Typically in the past, your outfit of the day (#OOTD) would consist of one denim item, but now it’s all about layering different jean washes and denim shirts with jackets to create a casual yet sophisticated look. This industry moves so fast, I haven’t even had time to take pictures of the new jeans and indigo skirts we received yesterday. Although, I somehow managed to go thrift store shopping and purchase 20 pair of used jeans for an art project. The Roadkill Girls decided to shred denim strips and loop them through a chicken wire frame to create a back drop for our windows. We wanted to drive the message home about the importance of the excessive denim trend this season by creating texture and adding impact. Pair your chambray top with a darker pair of jeans for a contrast look . Or, go totally tonal by wearing the same color wash of jeans, and jacket. Add some killer accessories to kick it up a notch, or play it down with a basic white T-shirt. Relaxed fit, skinny jeans, boot-cut, flairs and skirts can all be incorporated into this look. The first pic is from the Chloe runway show. 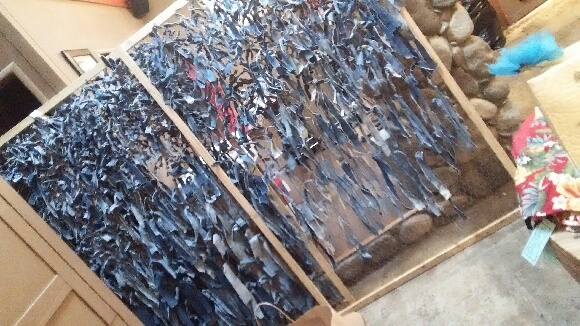 The second pic is the shredded, denim backdrop the Roadkill Girls are still working on. 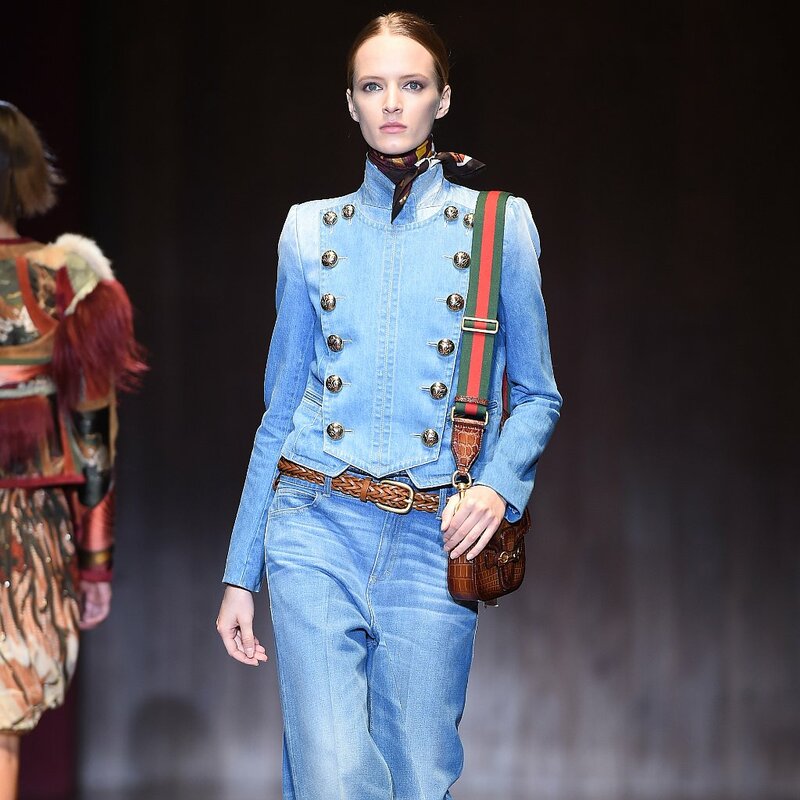 The third pic is from the Gucci runway show.